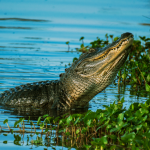 As one of the prominent private airboat tour companies in South Florida, Fort Lauderdale Airboat Rides is not just another run-of-the-mill airboat tour. Whereas most other airboat tours offer short tours and maximize the number of people they can fit on each boat, we make it our mission to make sure that you get the most out of your experience in the Everglades. When it comes to Everglades airboat tours, you absolutely get what you pay for. Fort Lauderdale Airboat Rides wants you to truly experience everything the Everglades has to offer. On a standard airboat tour, you’re subjected to the set length of the trip, as well as what they want to show/tell you. Fort Lauderdale Airboat Rides differentiates itself from the pack, thanks to its eco tours and airboat thrill rides. Instead of offering one set ride, we offer a variety of options for our guests. Whether you want to go bird watching, catch a gorgeous sunset, or maybe get a history lesson of the Everglades, our captains would be more than happy to give you a bit of insight. Two of our most popular tour requests are for our thrill ride tours, as well as our eco tours. Fort Lauderdale Airboat Rides is more than happy to offer its thrill ride option to the public. Be warned, though: our thrill ride is not for the faint of heart. Airboats were designed to glide across the top of the water, as wetlands such as the Everglades make travel by conventional boats difficult. The large fan, typically powered by a large car engine, is able to propel the fiberglass hull and all its passengers at high speeds. 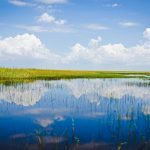 We’ll zip along the Everglades at high speeds, weaving in and out of mangrove forests and sawgrass plains. 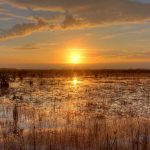 Conservation of the Everglades is important to us, which is why we make sure to only conduct our high-speed tours in locations void of any local flora or fauna. We want to make sure that we’re able to continue sharing our love of the Everglades (and high speeds) with the rest of the world for a very long time. Whereas our thrill ride is designed to take you on a high-intensity ride, Fort Lauderdale Airboat Rides’ eco-tour dials things back a bit. We’ll peacefully traverse the Everglades, discussing the local wildlife that calls the Everglades home. Our captains will answer whatever questions you may have, as they’re very well-versed in knowledge regarding the Everglades. We can never guarantee that you’ll see a particular animal as they’re completely untamed, however, we do know where some of the best spots are to spot them, granting you the best chance at getting that perfect photo. Whether you’re interested in our eco-tour option or our thrill ride, you’ll surely have a great time with Fort Lauderdale Airboat Rides. We offer our tours year round, so feel free to contact us about booking your airboat rides Fort Lauderdale Tour by calling us at +1 (954) 284-9130.